The Scholarship aims to provide financial assistance to outstanding young athletes from financially-challenged backgrounds to facilitate their pursuits in sports excellence. The Scholarship also supports deserving under-18 High Performance athletes who are on a high performance pathway, and are training with the national youth or national teams. 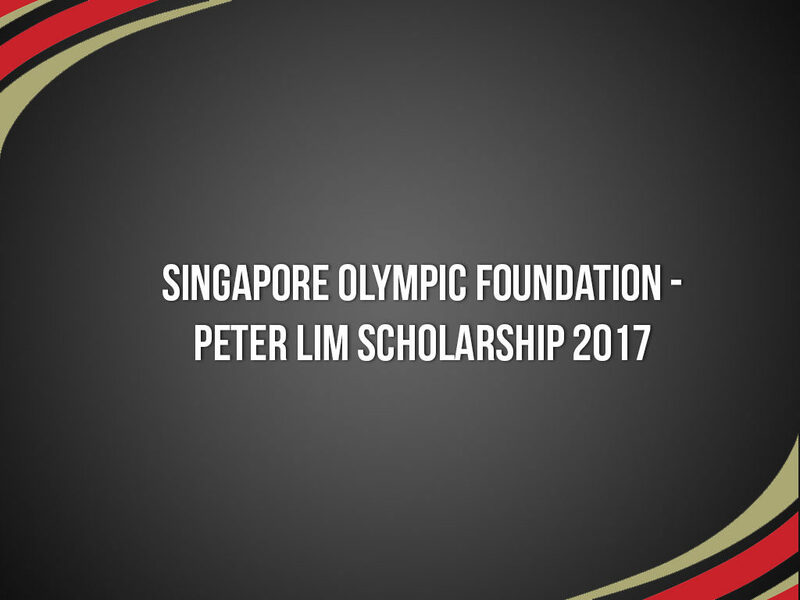 Recipients of the Sport Singapore SPEX Scholarship will not be eligible to apply. There are four categories which award varying cash amounts: Primary, Secondary, Junior College/Integrated Programme/Tertiary and under-18 High Performance. The tenure of scholarship is one year, and is applicable for renewal annually (via a new submission). Eligibility criteria and application details are available at the SOF website – www.sof.sg. Closing date for submission is 31st January 2017 at 4pm. Applicants who are applying for the High Performance U18 Category require a Letter of Support from the NSA (High Performance U18 applicant ONLY) attached with their application. Once the application form is endorsed, please return to the following address before the closing date 31st January 2017. Applications received after the closing date will not be considered. You can request for your letter of support at SAA.